This is common for lots of businesses and means they are really missing out on a host of opportunities to market their products and services, social media offers a host of platforms to get your message out there so can you afford to miss out. Social media is fast becoming the medium for the world to communicate meaning the potential for your business to benefit from this is more crucial than ever, its vital however to understand the platforms and the way they operate to ensure you get the correct message out to the world! Nexus can offer Social + our social networking management service to ensure your business is sending out the right image and message on a range of social networks including Facebook, Twitter, Instagram and we can also manage your email marketing campaigns. We offer a range of options from only four hours per week to full management packages this service really is available to all, why not contact us to find out more at social+@nexustsl.com or call 0333 358 3568. 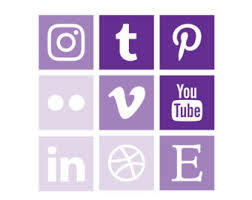 Social+ from Horizon can customise our products to meet the demands of your business, our standard options are detailed below and provide an excellent option to manage and enhance your social media. If you need something extra please let us know and one of our social media managers will be delighted to discuss this with you. This option has been designed to enhance the social media offering you already provide to your customers, here at Horizon we use our expertise to increase followers in your chosen target markets. SMO is designed to work alongside your social media manager to increase interest and help build your online brand awareness. This option costs as little as £20 per week/£80 per month. The social media manager option is designed to fully manage your social media platforms, this also includes everything detailed in Option 1 adding SMO to target your primary audience. Maintain a constant online presence. Free option 1 SMO and free setup. Monthly reports and meeting with a dedicated social media manager. This option costs only £45 per week or £195 per month. option 3 is the complete social media and marketing package from Horizon, this has been designed for businesses looking to really develop and enhance promoting and growing their online presence. Options 1&2 including free SMO and setup. This options costs £499 per month.